4 bells on a red wrist band. Wrist band can be adjusted via velcro tag. Each band has 4 stainless steel, 1" bells. Vibrant sleigh bell sound. Supplied in pairs. 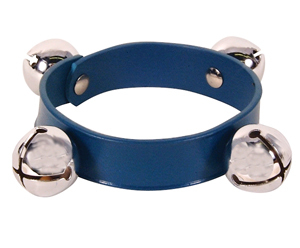 4 stainless steel 1" bells on a non-adjustable blue plastic band. Wooden Shaker - 4". Very cleanly designed, with a bright, vibrant tone. This ultra lightweight wooden shaker fits right in the palm of your hand. Great fun to play for all ages! Woodblock - with beater. Hand carved from the solid. Large block produces very loud and clear tone. Supplied with beater. Straight violin hanger for slat wall shop systems. This model features a fixed padded fork for a straight 'front-on' display. Adjustable violin hanger for slat wall shop systems. This model features an adjustable padded fork which can allow violin to be displayed at multiple angles, including facing right, left or straight. Suitable for acoustic and electric guitars and small cellos. Stand-trumpet wooden base. This solid wood instrument stand is handcrafted in Europe. It is well balanced to protect and hold your horn in a safe position. Easy assembly and disassembly makes this an attractive stand for any trumpet player! Trumpet Collapsible Stand. Made in Italy by Moreschi, white foldout plastic stand, very portable, lightweight and practical. Trumpet Stand. Chrome-plated foldout stand with blue or red felt covered spike. Made in Taiwan. Lyre-trump/corn (long straight stem). Lyres make it easier to keep your music organized and viewable while doing parades and halftime shows. A great way to keep your music handy while memorizing a show as well. Select nickel-plated or finish. Nickel Lyre for brass Instruments. Lyres make it easier to keep your music organized and viewable while doing parades and halftime shows. A great way to keep your music handy while memorizing a show as well. Select nickel-plated or finish. Lyre-for trumpet (bent stem). Lyres make it easier to keep your music organized and viewable while doing parades and halftime shows. A great way to keep your music handy while memorizing a show as well. Select nickel-plated or finish. Triangle with beater. Top grade steel, heavily chromium plated to ensure excellence of tone. Complete with chromium plated beater, cord holder and polythene bag. 8" Triangle with beater. Top grade steel, heavily chromium plated to ensure excellence of tone. Complete with chromium plated beater, cord holder and polythene bag. Beater. Top grade steel, heavily chromium plated to ensure excellence of tone and plastic handle. Tone Block Single - Wood produces a "hollow" tone. Can be rubbed, scraped or knocked to provide different percussion tones. Toneblock - with beater. Double tone block (T-style) produces two distinct clear tones. The handle screws into the head. Beautifully finished and supplied with beater. Toneblock - (T) large with beater. This tone block with mallet is a percussion instrument with two chambers to produce a low and high tone. Tap Stick - triple jingles. Even very young children will delight in their music-making endeavors with this tambourine stick. The stick design makes it easy for kids to hold and play. Tap Stick - double jingle. Even very young children will delight in their music-making endeavors with this tambourine stick. The stick design makes it easy for kids to hold and play. 8" tambourine - with head and 5pairs of jingles.Durable wooden shell with exceptional sounding plated jingles. 6" Tambourines with plastic head and 5 single jingles. Durable wooden shell with exceptional sounding plated jingles. 10" Tambourines with plastic head and 8 single jingles. Durable wooden shell with exceptional sounding plated jingles. Wooden ply 8" tambourine with natural skin head and 6 pairs of jingles in the frame. Wooden ply 8" tambourine with natural skin head and 12 pairs of jingles in the frame. Wooden ply 7" tambourine with natural skin head and 6 pairs of jingles in the frame. Wooden ply 6" tambourine with natural skin head and 5 pairs of jingles in the frame. Wooden ply 10" tambourine with natural skin head and 7 pairs of jingles in the frame. Tambourine - plastic tunable 8"/6 Jingle. 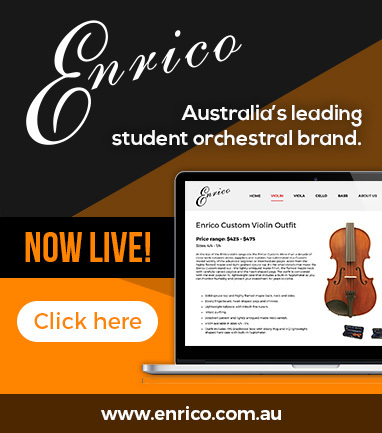 Synthetic skin, plywood shell and exceptional sounding plated jingles. Tambourine - plastic tunable 10"/8 Jingle. The newest, most innovative, and widely used tambourine today! Durable plastic shell with exceptional sounding plated jingles. Tambourine - plastic tunable 10"/7 Jingle. The newest, most innovative, and widely used tambourine today! Durable plastic shell with exceptional sounding plated jingles. Tambourine - headless transparent 6". The newest, most innovative, and widely used tambourine today! Durable plastic shell with exceptional sounding plated jingles. Tambourine - clear head transparent 6". The newest, most innovative, and widely used tambourine today! Durable plastic shell with exceptional sounding plated jingles. Tambourine - headless 8"/6. The newest, most innovative, and widely used tambourine today! Durable plastic shell with exceptional sounding plated jingles. Yellow "half-moon" tambourine. Padded grip, 8 double jingles and half moon shape. Durable plastic shell with exceptional sounding plated jingles. White "half-moon" tambourine. Padded grip, 8 double jingles and half moon shape. Durable plastic shell with exceptional sounding plated jingles. Red "half-moon" tambourine. Padded grip, 8 double jingles and half moon shape. Durable plastic shell with exceptional sounding plated jingles. Blue "half-moon" tambourine. Padded grip, 8 double jingles and half moon shape. Durable plastic shell with exceptional sounding plated jingles. Black "half-moon" tambourine. Padded grip, 8 double jingles and half moon shape. Durable plastic shell with exceptional sounding plated jingles. Tambourine - fish shape. Patented resonance shell design with built-in whistle. Heat treated jingles, ergonomical hand grip. Attractive shape and colours. Tambourine - aluminium 8". Durable aluminium shell with exceptional sounding plated jingles. Stand for 12" djembe (31x 62cm). Excellent way to mount your djembe for secure playability. The stand can be angled and height is adjustable. 10 inch chrome plated blow cheer horn. 4 Trumpets. Comes with a 16 inch red lanyard. Snare kit - 14"snare stand cymbal sticks. This snare kit is ideal for the student percussionist. It includes a 14" snare, a snare stand, and drumsticks. If you're a student, or an advanced player in need of a complete practice snare set, this is a great bargain. Sleigh Bells - 10 bells junior. These bells ring with the image of a team of horses prancing through fresh snow. 9 Bells - Standard Sleigh Bells. Horseshoe shape with large nickel-plated bells. These bells ring with the image of a team of horses prancing through fresh snow. 5 Bell - Standard Sleigh Bells. Horseshoe shape with large nickel-plated bells. These bells ring with the image of a team of horses prancing through fresh snow. Stand-combination 2 saxophone/flute/clarinet. 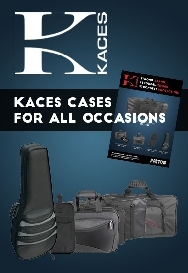 Holds two saxophones plus two universal pegs included that fit either clarinet or flute. Contemporary stand does not fold but quickly disassembles for compact storage. Base is made of lightweight, square tubing. In black. Sax Stand for Alto or Tenor. Heavy duty black tubular stand. Can be adjusted for either Alto or Tenor. Three fold out legs with rubber stoppers and padded at contact points. Made in Taiwan. Stand-alto/tenor black height adjustable. This is a universal stand which provides the player with the flexibility to use it for either instrument. It comes with an adjustable lower bell support to allow this flexibility. By Maxtone. Combination Stand for Alto/Tenor with peg for Flute or Clarinet. Nickel Lyre for Alto/Tenor. Lyres make it easier to keep your music organized and viewable while doing parades and halftime shows. A great way to keep your music handy while memorizing a show as well. Select nickel-plated or finish. 21 Piece Percussion Pack. Assortment of popular percussion instruments in a purpose-built bag. 17 Piece Percussion Pack. Assortment of popular percussion instruments in a purpose-built bag.